Q-Tip had plenty of surprises in store during his Abstract Radio Beats 1 show Friday night (Feb. 9). Much to the delight of fans, the Tribe Called Quest rapper debuted a previously unheard collaborative track with Kendrick Lamar. The song, "What U 2 Want," features both Lamar and Q-Tip, with K. Dot taking the lead vocally. Per Tip, the song isn't exactly new, with the rapper hinting that it was one, recorded awhile ago, and two, is likely to be released soon. While it is unclear if the track is a one-off or part of a larger project, fans are currently sounding off on social media to learn more about what could be a new classic. Additionally, Q-Tip also premiered a new Demi Lovato song during his show, playing her cover of Elton John and Kiki Dee's "Don't Go Breaking My Heart." 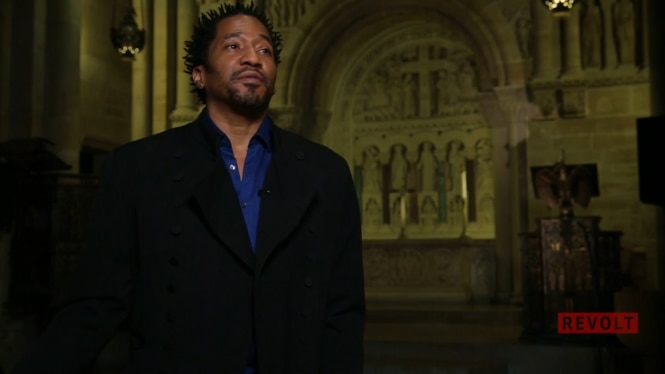 Take a listen to Q-Tip's latest edition of Abstract Radio here, with "What U 2 Want" arriving at the 1 hour, 42-minute mark and "Don't Go Breaking My Heart" at the 1 hour, 58-minute mark. 7AM LA / 10AM NYC / 3PM LDN.